Employer name: Grand Sierra Resort City: Reno State: Nevada Type of Business: Casino/Hotel Job title: Steward/Dishwasher Number of positions: 2 English level required: advanced Pay rate: $10.00/hour - 32-40+ hours/week Start Date: 15.06.2019 End Date: 15.09.2019 - 30.09.2019 Housing: N/A Why choose it? This is a wonderful opportunity to work at a high end resort in a popular tourist city, with plenty of beautiful views and outdoor activities. 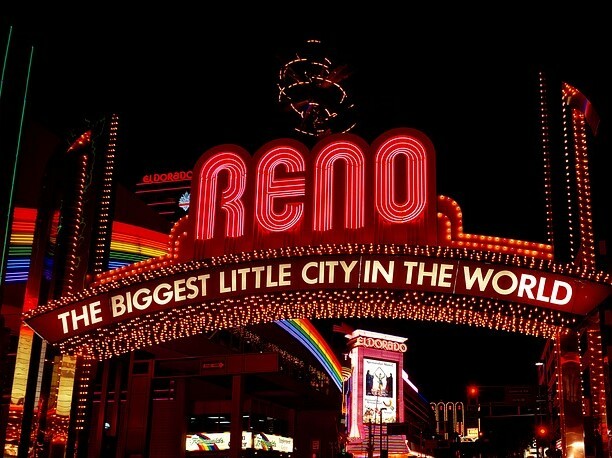 Reno/Sparks attracts a lot of tourists from around the world due to its fantastic views and outdoor activities such as water sports, skiing, cross country, hiking, mountain biking, alpine skiing and Nevada style entertainment. Attractions include: Nevada Opera, Museums, Philharmonica, theatres, festivals, local hiking, art shows. Attached you can find only one of the job descriptions. If you are interested in any other position, please contact us and we will send you all the necessary information.